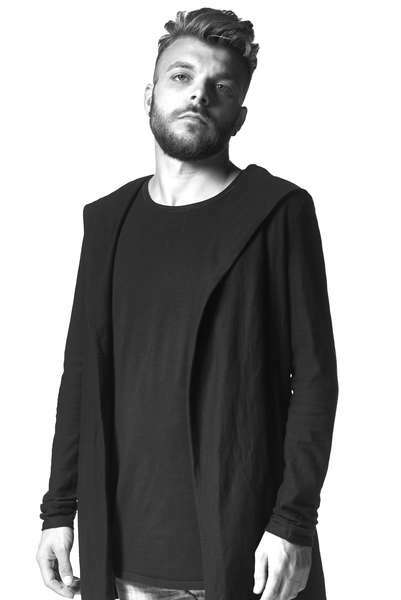 Ilai Salvato is an Italian DJ and producer who’s been making music since 2005. 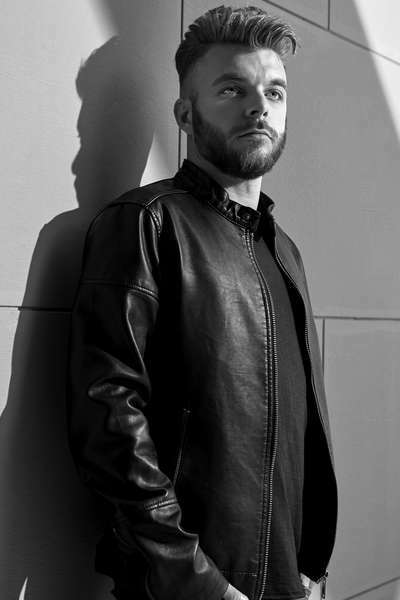 Having collaborated with awesome acts such as M-theory and Materia, and releasing on successful labels like 24/7, his signing with the prestigious Iono Music has cemented this talented artist firmly in the top draw. 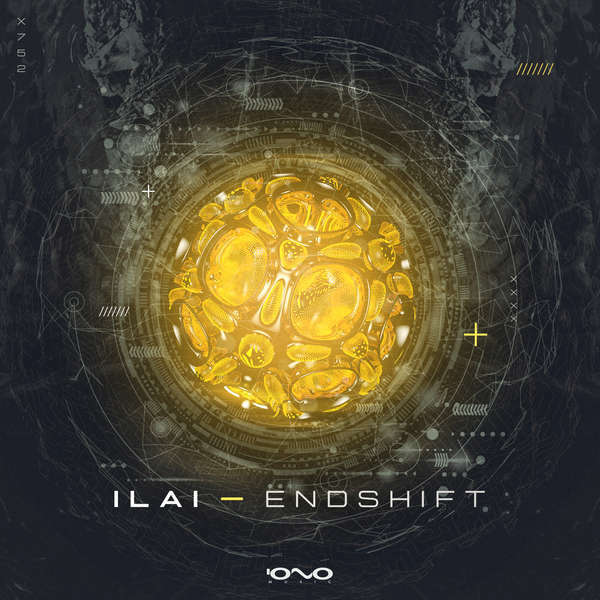 With Endshift, Ilai’s 4th studio album, due for release in a couple of weeks, we decided it was time to delve deeper into the mind of this sonic wizard! Hi Ilai! Can you tell us a bit about your background? What sort of child were you, what did you want to be when you were older? Well, I grew up in Italy in a city called Padua near Venice, which is in Northern Italy’s Veneto region. My main passions as a kid were music and nature and they both still are today. They’re definitely my main captivations. As a child I had many dreams, but by far my biggest dream was to become a successful world-renowned DJ. How did your love of music and specifically – electronic music come about? I loved music right from an early age. Lots of music. All kinds of music. These days, other than psy-trance, I also really like techno, chill out/downbeat and some jazz. I guess my first taste of electronic music was when my cousin let me listen to his techno music for the first time. I was only six years old but I instantly felt it and loved it! Since then I was hooked and have been obsessed with all kinds of electronic music. Some of my favourite and most loved artists currently are: Astrix, Yestermorrow, Tristan, Zen Mechanics, Egorythmia, Vini Vici and Symbolic. These artists are so talented and a big inspiration to me. What made you decide you wanted to create your own music? Well at first I started off spinning music as a DJ, but by the time I was 18 I already felt the need to learn more about the music I was playing. I had so many questions about how it was made. I felt the need to know the ethos behind the structure of the kind of music I was playing. Also I started to have big ideas of my own – visions in my mind – and I wanted to learn how to make music so I could put these visions into a track. So I started to read up and ask friends and learn! When did you attend your first rave/festival. What was it you liked about this scene? I started playing techno at little parties when I was pretty young, but these were nothing compared to the love I found when I attended my first psy-trance rave – I was hooked! Not just with the music but I had totally fallen in love with the cultural environment too! What inspires you to make music?. Whatever is around me. I can take my inspiration from all different inputs. From situations and from special emotions I feel, from the weather, from beautiful scenery, from landscapes, definitely a lot of inspiration comes from my travels around the world. Also by being in nature, and especially from wonderful human beings and the words they speak. I’m also inspired from lots of other kinds of music, from different styles, which I then try to implement into electronic music to create a fresh track. What’s the hardest thing about making music? I would say having perseverance and also having enough time are the most difficult factors. Trying to balance everyday life, my personal life, and also producing music is not always easy. These different areas don’t always easily allow time for each other! Lol! What’s your current studio set up? I use a very simple setup currently: studio-pc, Mac-pro, KRK monitors, TC Electronics audio-card, and my beloved Virus Synth. Anyway the main factor, in my opinion, is to have good acoustics in the room and ears well trained and used to that. You signed with Iono in 2015, how did this come about? Well, initially I was more ‘full-on’ psy oriented. But after a while I started experimenting and began producing progressive psy. I seemed to have great results. At the beginning of 2015 a good friend of mine - Matthias Sperlich, the Iono label manager – offered me this great opportunity. I think I have proved my reliability as a producer and since then I consider Iono much more than my label, I see it and the crew as my very own new family. You’re about to release your fourth studio album – congrats on that! How would you say this album differs from your previous albums and how would you describe your current sound? Compared to my previous 3 albums, this new one brings some very fresh and different elements. A new sounding mix of pure psychedelia with lots of progressive influences. I added new rhythms with fresh sounds and lots of edits to create different innovative soundscapes, inducing a new emotional level through the melodies. What tips can you give to aspiring producers? I would advise not just to follow the trends and try to emulate what’s already been done; really make an effort with being innovative. Think and focus on your true inspirations, get in touch with your personal emotions, then try to challenge the current musical market. How do you think your friends would describe you in three words? Other than music, what are your biggest loves? Well, apart from the music, I totally love nature and everything related to it. I love gardening and taking care of my lovely pets. I love all animals but just got a new gorgeous puppy – so I now am lucky enough to have two dogs. One’s called Kif and the other is called Artu. I’m hoping they’re gonna get along! What’s one of your most vivid lifetime memories? Oh I have so many – can I choose two? One has to be when I released my first ever album - I was overjoyed – the pride I felt - it was like my biggest dream came true and I was so happy. I will never forget that! The other was when I played at an amazing psy party called Universo Parallelo in Brasil..... Wow, that was a surreal and totally amazing experience! It was so weird but brilliant that I was celebrating New Years Eve on the beach during Summer time! Back home, in my country – at that time of year – it is always full on winter season! I want to keep growing as an artist and making good productions, always trying to keep my passion and continue to be inspired. Lastly, tell us a joke or a funny story that happened to you? Images courtesy of Ilai Salvato and Iono Music. Not to be reproduced without permission.